I’m all too familiar with the days you get a little nutty with toddlers and/or preschoolers at home and are not quite sure what to do with them anymore. I offer no valuable solutions other than distraction! I am by no means a professional crafter, educator, or child raiser, so the crafts I post are meant to give you hope in your abilities no matter what your skill level! 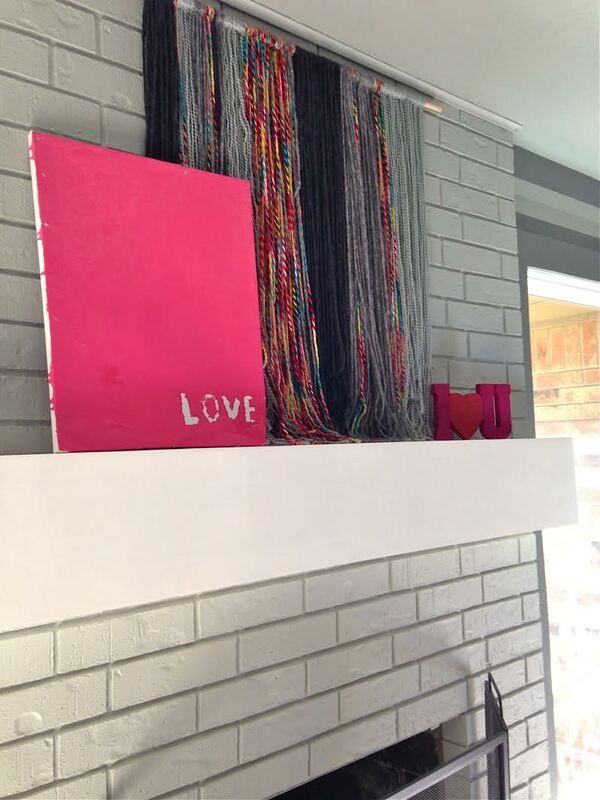 Here is a throw back project with my oldest 3 years ago that we created together on a whim using materials I already had on hand. 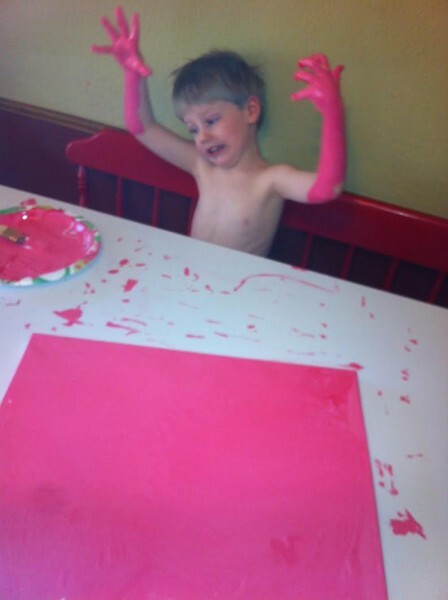 One of the reasons I like this one is because he had fun doing it, I love the imperfections of a child’s artwork, and it gave me something to decorate with for Valentine’s Day, because I had nothing. Now I use this every year and it has sentimental value, too. Winning! *If you have more craft-y supplies you keep on hand, like adhesive letters, then of course use those. For the less crafty, or those that don’t want to go to the store, use what you have. That’s the greatness of this, and your child just loves the experience with you. 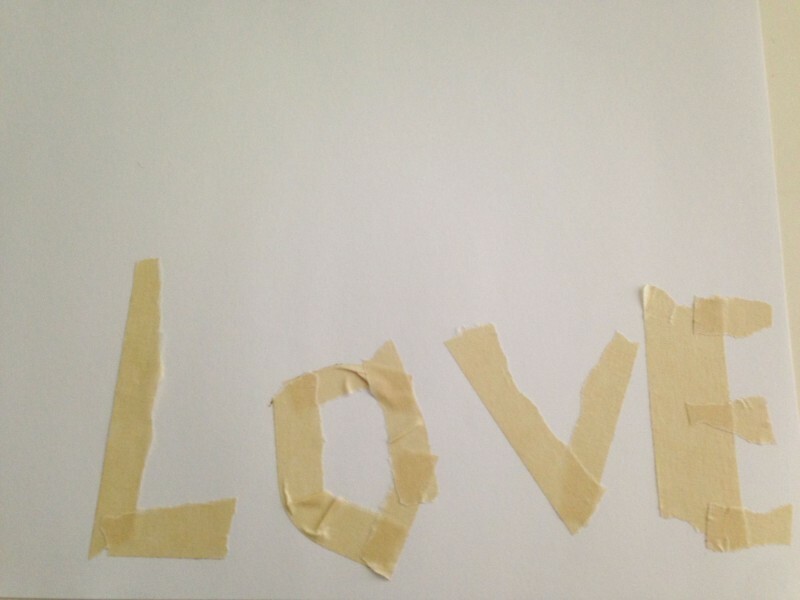 First, we taped the word “LOVE” onto the blank canvas. Let the art dry completely – couple hours to be sure. Remove the tape from the canvas leaving the shape you created behind. 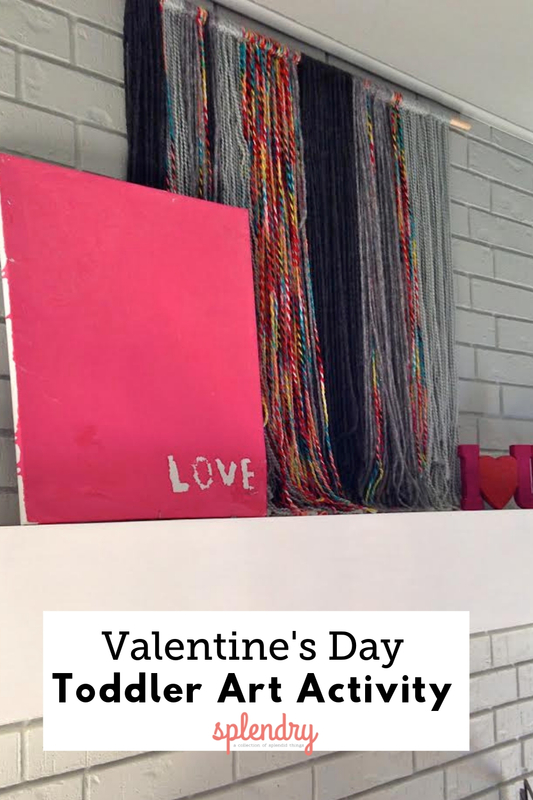 Looking for some more Valentine’s Day decor? Grab one of these free printables!